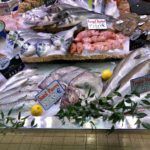 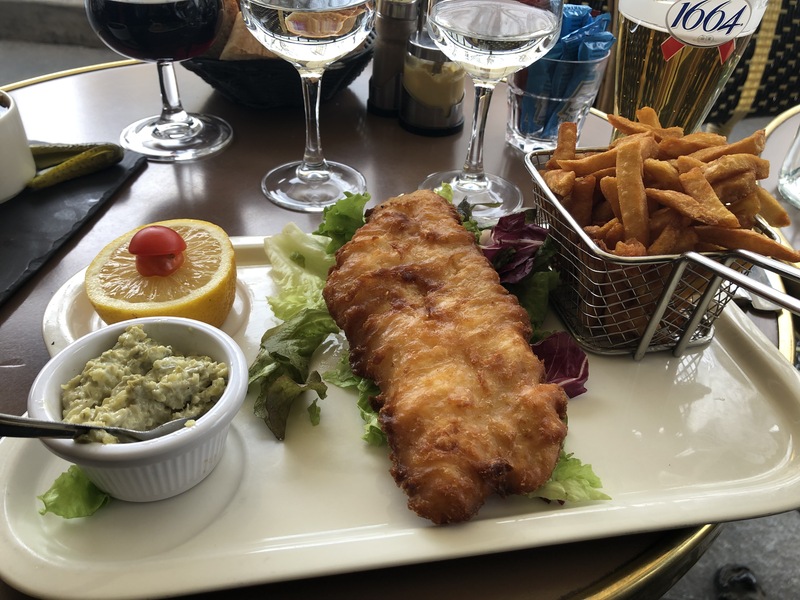 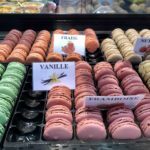 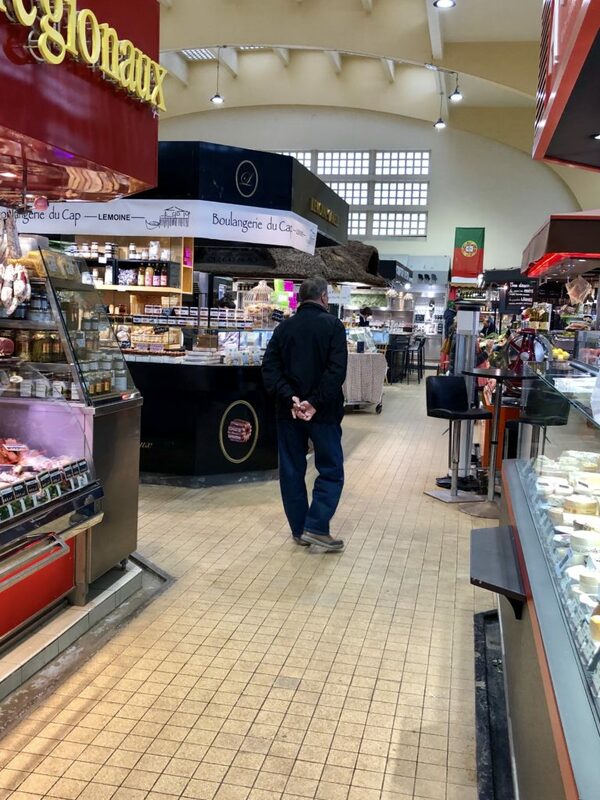 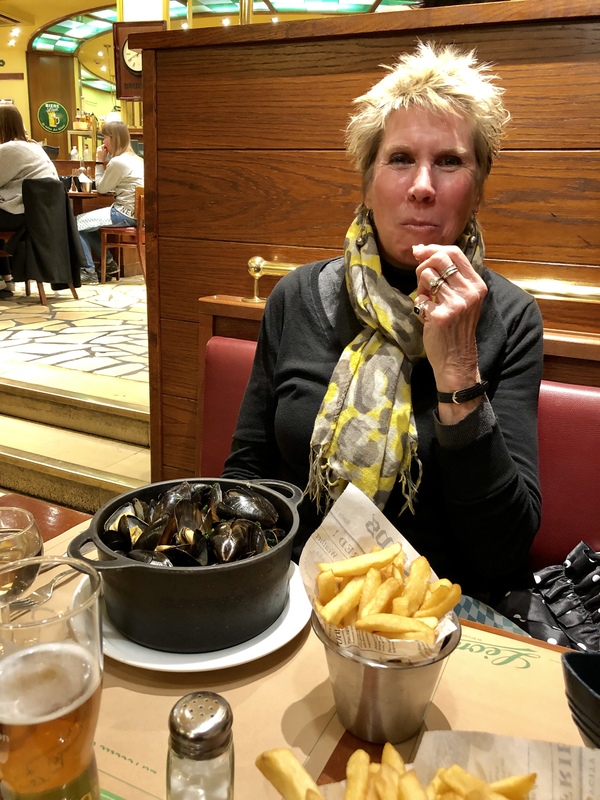 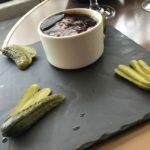 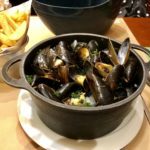 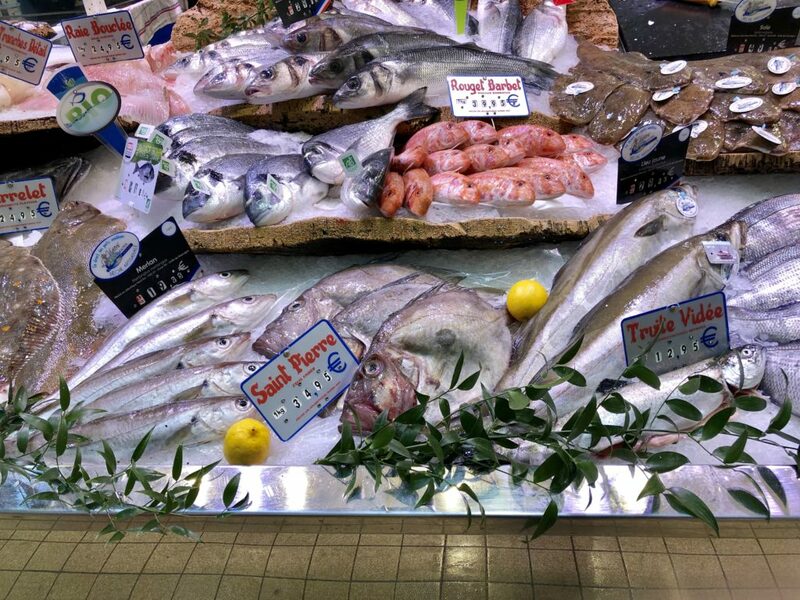 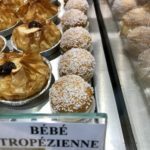 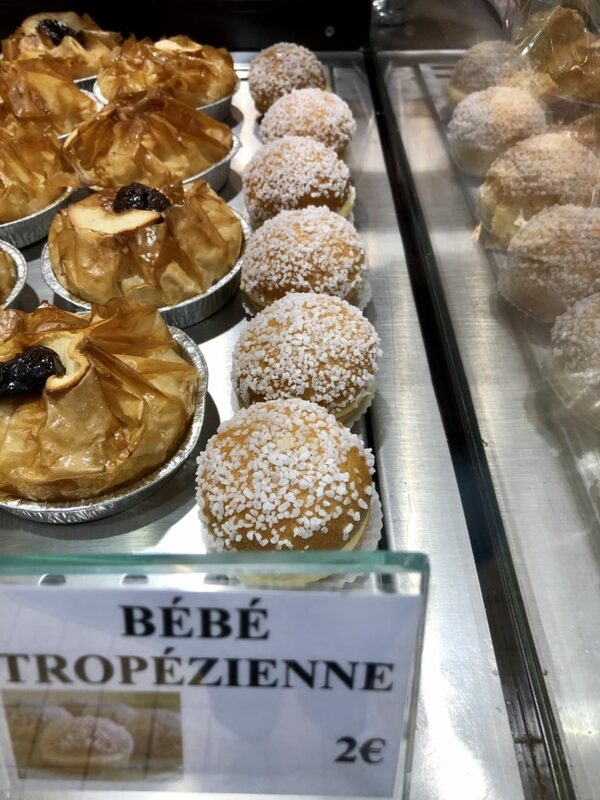 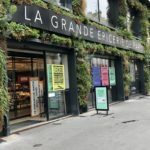 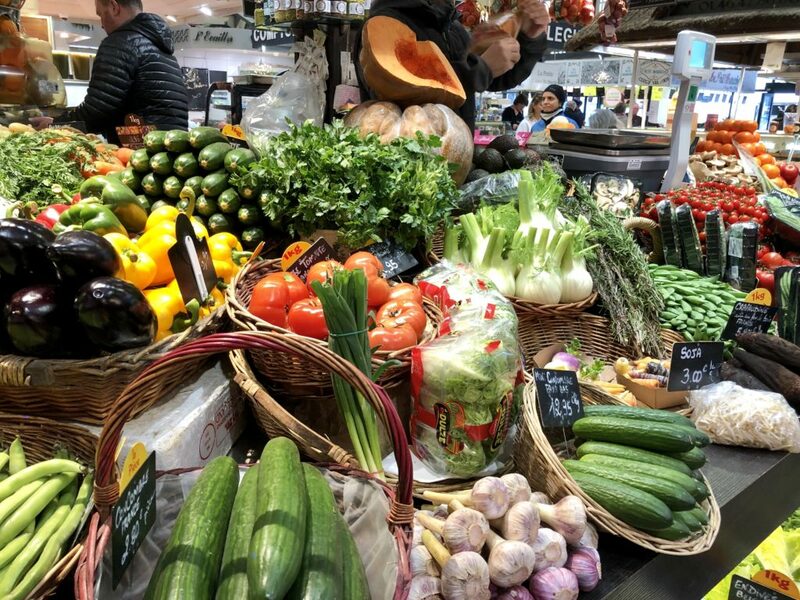 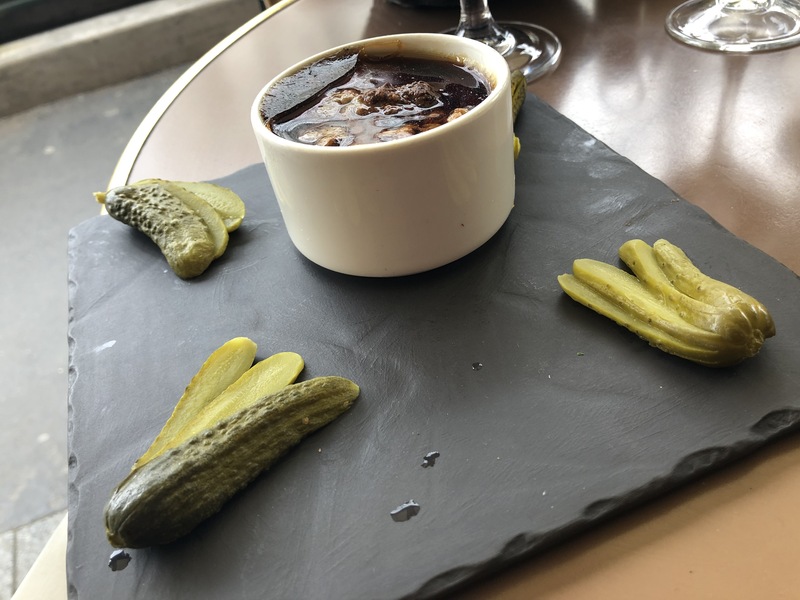 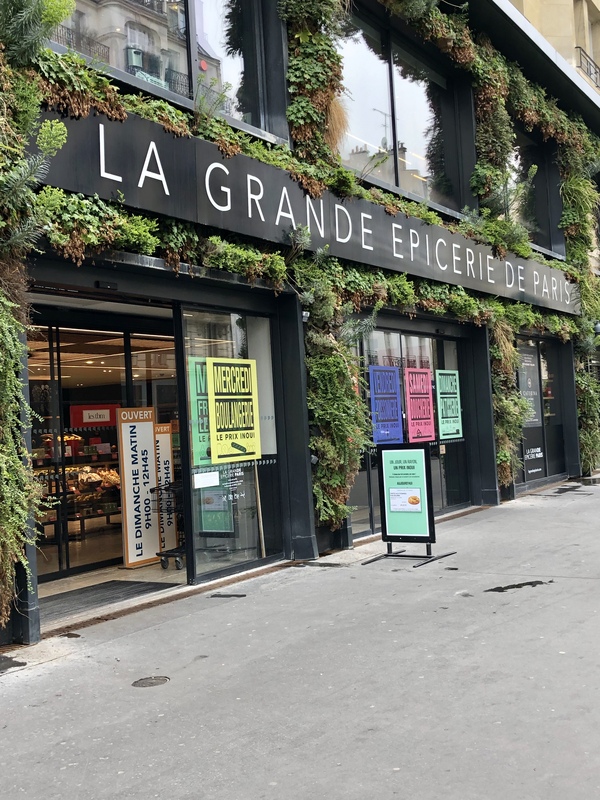 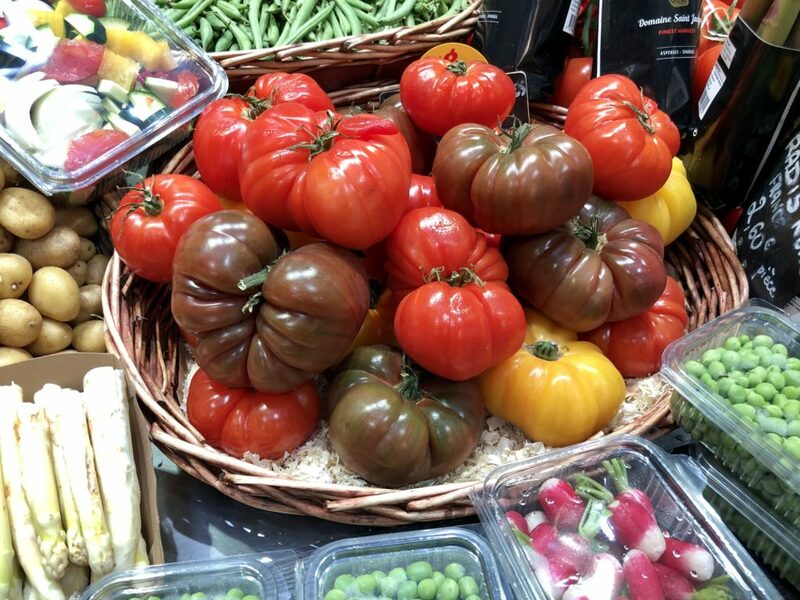 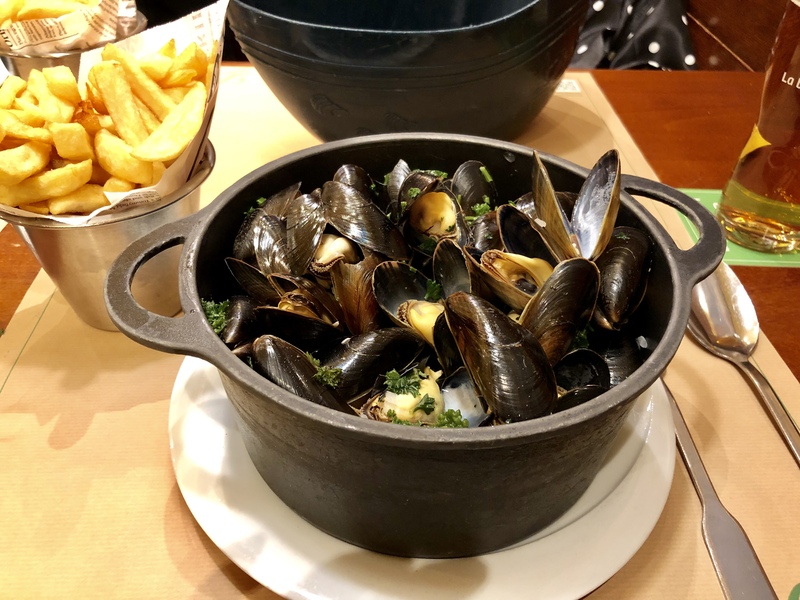 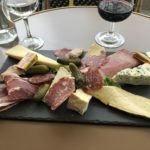 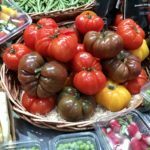 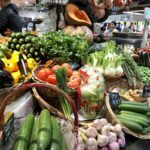 We left the Passy market and headed to the Marché Grenelle which is located on Boulevard Grenelle, between rue Vasco de Gama and rue Leblanc under the elevated metro in the 15th arrondissement. 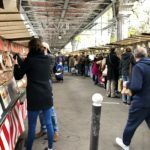 The market is at this location on Wednesdays and Sundays. 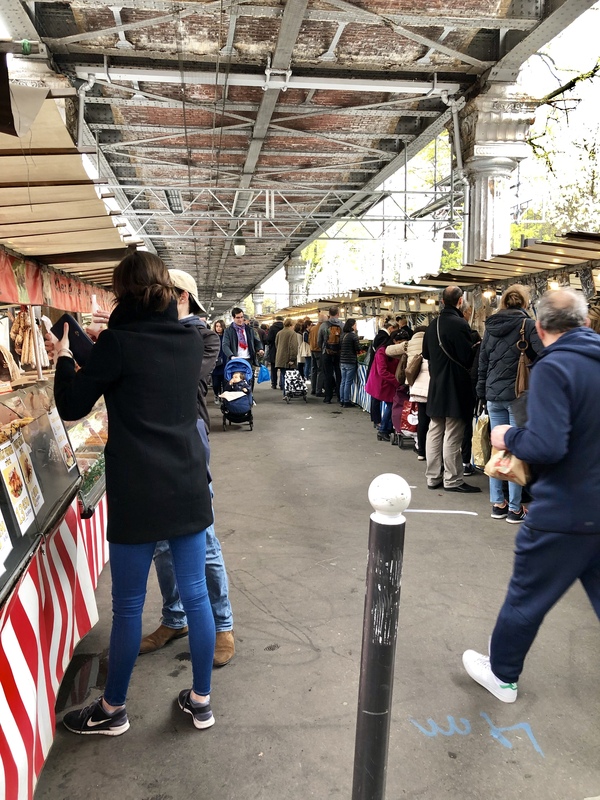 This is a large market with maybe 60-70 vendors. 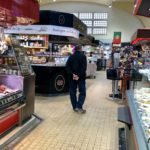 We walked the market looking at the various items, Shelley purchased some roasted almond one with various herbs and one with red pepper. 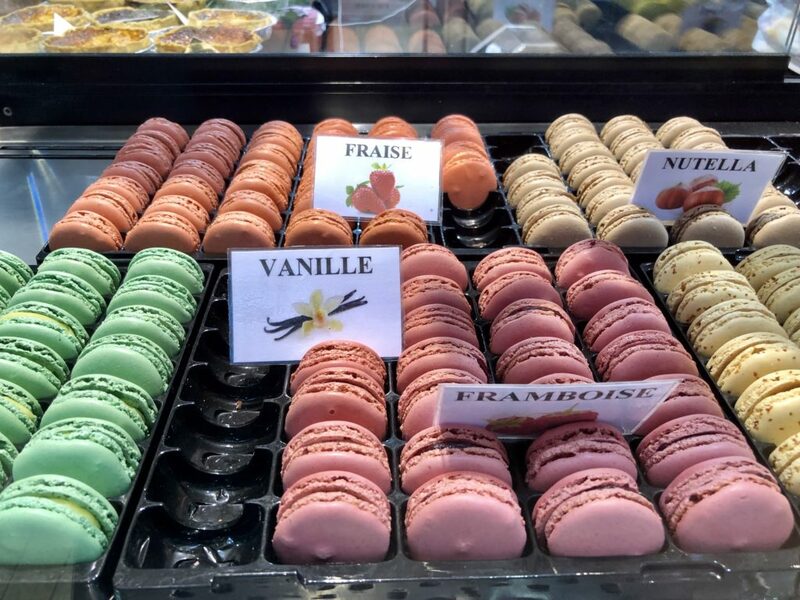 Pat and I purchased fruit for breakfast, and we purchased some Macrons for Shelley to try before she leaves. 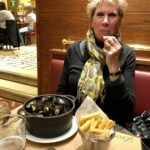 We opted to have lunch at a cafe at the base of the La Motte-Piquet Grenelle metro stop named Le Pierrot. 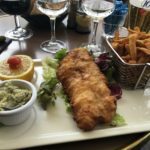 We had a waiter who spoke English and French so we practiced back and forth with English and French. 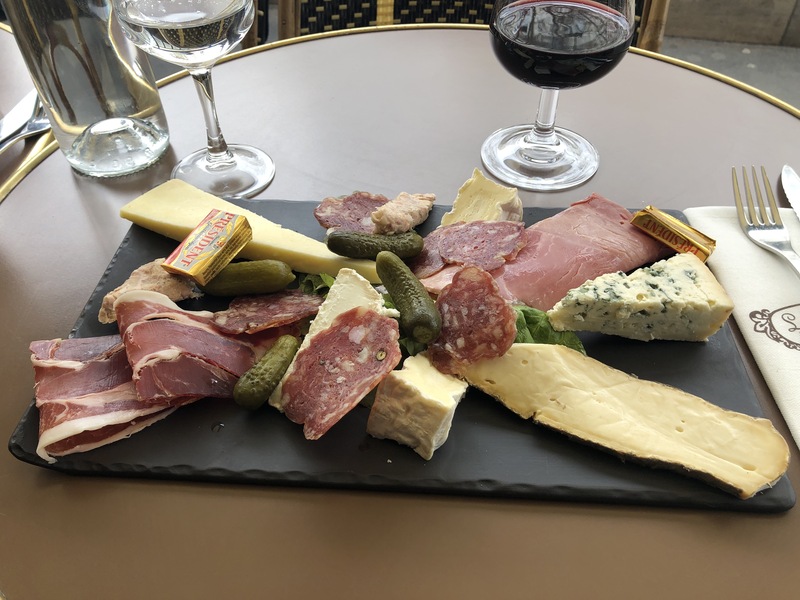 Shelley order the Terrine of Porc with Hazelnuts, Pat the fish and chip and for me the Plate of cheese and meat. 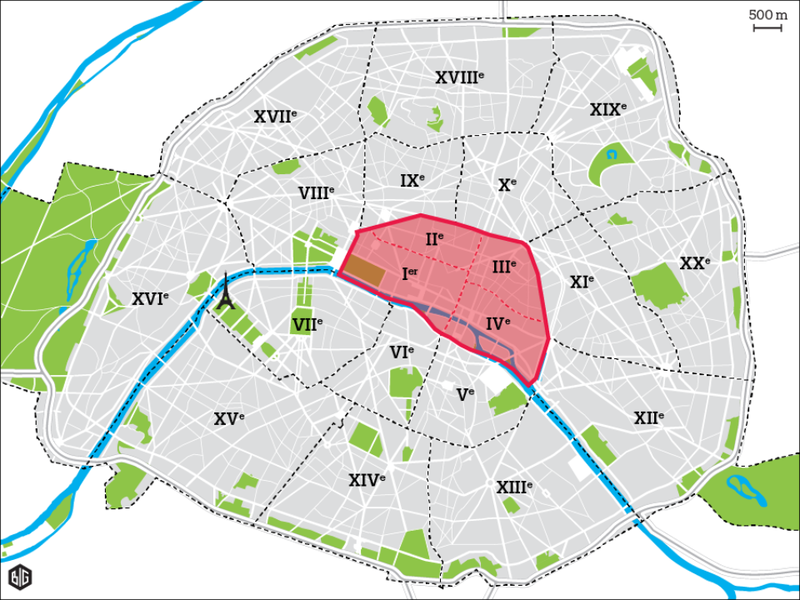 This entry was posted in Paris, Paris 15th, Paris 16th.. Bookmark the permalink.